Help Us Get on the Cover of Runner’s World! As you likely know, I ran Charlotte’s Thunder Road Half Marathon blindfolded to honor my little sister, Taylor; my next challenge is to compete for her in all 50 states, beginning with an epic race later this summer. Our story has a chance to be on the cover of Runner’s World magazine. This kind of exposure would be amazing for our fight to save millions suffering from rare diseases. That’s where you come in. Click here to vote for our story. It takes five seconds, and no app download is required. Vote EVERY DAY between now and Aug. 15. We’re in the top 10 right now, but we won’t win without your support. So, share this with everyone you know, and vote often. Thanks so much! I’ve been running for most of my life and played competitive soccer through college, but I didn’t start entering races regularly until watching my little sister, Taylor, battling a fatal brain disease that causes blindness, run her first 5K at age 10 in 2008. Running gave Taylor a chance to be a “normal” kid, and I love it for that. At the finish line that day, I made a silent promise to run for Taylor as long as possible, both to honor her incredible courage and to raise awareness of Batten disease, the illness that will take her life. WHAT IS THE PERSONAL RUNNING ACCOMPLISHMENT YOU ARE MOST PROUD OF? 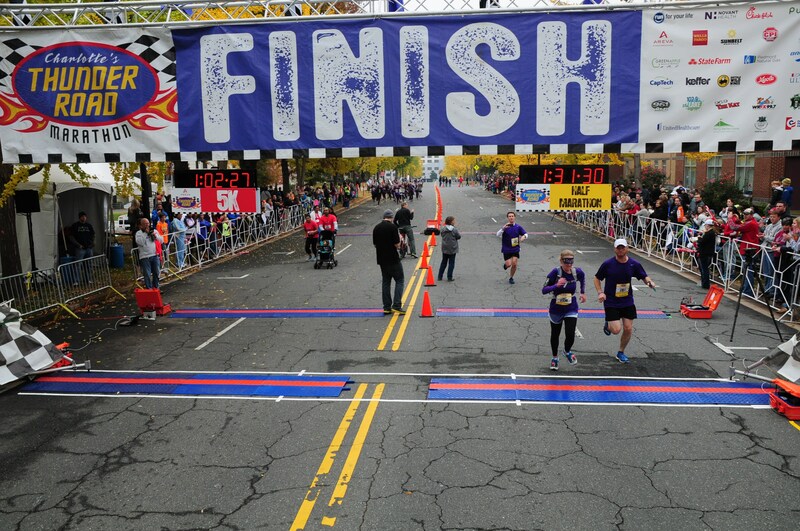 In November 2013, I returned to the event where Taylor ran her first 5K. To honor the fifth anniversary of her brave 3.1-mile run, I wore a blindfold bearing the phrase “4Taylor,” which I’ve inked on my arm for all of my races. With a guide, I ran the half marathon blindfolded in under two hours. I ran portions of the race “untethered,” and my team and I raised money and gained national exposure for Taylor’s Tale, the non-profit organization I co-founded in Taylor’s honor. My next challenge is to run a race in all 50 states for Taylor. Aside from the fitness benefit, running is a great way to relieve stress, and I do some of my best thinking on the run. Most of all, it helps me feel close to my little sister, who can no longer run because of her disease. During my blindfolded half marathon, I ran untethered several times, and I never felt closer to Taylor than during those stretches. I imagined her next to me, healthy, her legs in sync with mine, her voice dancing on the wind, her eyes drinking in the earth. 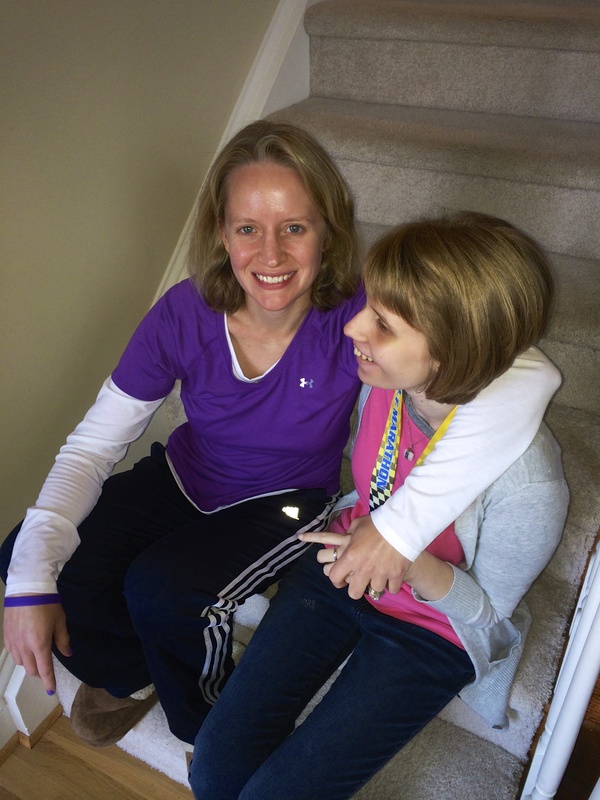 Nine days before the race of my life, I received a short email message from a writer asking me if I could do a short interview for a possible feature on my attempt to run Charlotte’s Thunder Road Half Marathon blindfolded in support of my sister, Taylor, and the fight against rare diseases. Between final training runs and race preparations that weekend, I did an interview with Gail Kislevitz of the New York Road Runners. No emotions could match those I felt the day of the race on Saturday, Nov. 16, as I ran 13.1 miles in the dark, led only by my guide, Andrew Swistak, and the courage of my sister, whose presence I felt throughout the morning even though her declining health didn’t allow her to attend. But when I received another email from Kislevitz early on the morning of Tuesday, Nov. 19, informing me that our story had been selected for publication, I jumped so high in the air that my head almost hit the ceiling of my closet. Taylor’s story is moving, and Taylor’s Tale has been lucky to achieve a great deal of local and statewide media coverage since our founding in 2007. The Thunder Road story, in particular, raised our profile and helped us reach a whole new audience, garnering multiple TV, print and online stories and even the cover story in a statewide magazine. But the news that Runner’s World, the world’s largest running magazine, had chosen our story for its What it Takes column made my heart race. The March issue hit newsstands on Friday. I subscribe to Runner’s World, but I raced to the grocery store to purchase a few additional copies. We didn’t get the cover, a full-page story or even a full column, but seeing our names and a phrase I hate with every bone in my body – “Batten disease” – within its pages means everything to me. We may have only gotten a paragraph, but thanks to that paragraph, thousands of people who would have otherwise never heard of Batten disease now know the name of the monster stealing my sister away from us. Maybe, just maybe, they’ll Google it, learn the depths of its horrors and be compelled to help kids like Taylor – a kid who, once upon a time, loved to run – just like them. And that’s the only reason I’m running this race. Note: Our story appears in the “What it Takes” column on page 20 of the March issue of Runner’s World magazine. Thanks to the Runner’s World team for their support of our fight against rare diseases!